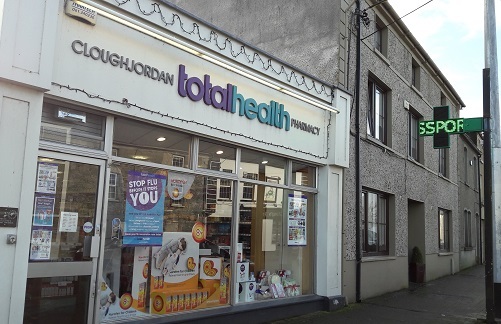 Cloughjordan totalhealth Pharmacy is an independently owned community pharmacy located on Main Street, Cloughjordan in Co. Tipperary. Cloughjordan Pharmacy opened in 1998 to meet the healthcare needs of the local community. It is a sister pharmacy to Peter Fox totalhealth Pharmacy, Birr. The local community responded with great warmth and support to the opening of this healthcare service in the village. The pharmacy is managed by Pharmacist Aonghus Gibbons M.P.S.I. In 2014, Aonghus moved his business forward by partnering with the totalhealth Pharmacy brand to become Cloughjordan totalhealth Pharmacy. The store underwent upgrading to incorporate all the elements of the new totalhealth brand. The totalhealth rebrand has meant that the pharmacy in Cloughjordan is now part of a large national network. This is a great asset to a small retail business such as Cloughjordan Pharmacy. It is fantastic news for all the pharmacy customers and the community alike. 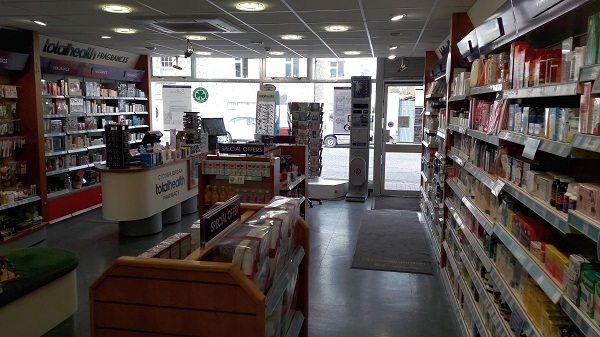 The development has enabled the pharmacy staff to meet the growing healthcare needs of customers, while retaining their core values of a personalised and caring service based around a trusted local business. 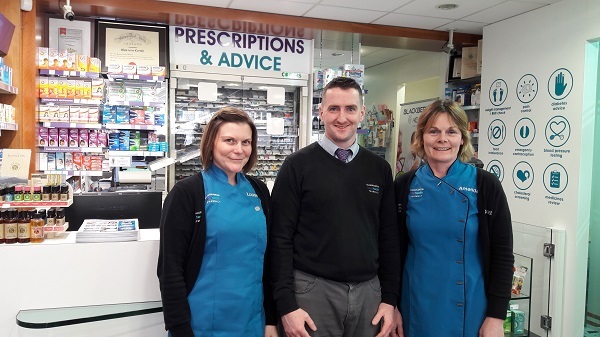 Since joining in partnership with totalhealth Pharmacy, Cloughjordan totalhealth Pharmacy has gone from strength to strength. In 2012, the pharmacy was listed as a REI Top 100 Store and also shortlisted in the Business Development Category at the Irish Pharmacy Awards.Being part of the totalhealth Pharmacy group allows the local pharmacy to bring fantastic value, special offers and a VIP Loyalty Programme & Gift Card to their customers. Customers enjoy being rewarded with loyalty points in the pharmacy and are pleased that they can also collect points if they are visiting a totalhealth Pharmacy in another town! Cloughjordan totalhealth Pharmacy prides itself in offering a host of healthcare services directly from the pharmacy. The team is always available to offer good advice and reassurance when it is needed. The pharmacy team are very happy to reply to your healthcare concerns online with a completely confidential and free service. Simply, fill out the “Ask our Pharmacist” query form and Aonghus or a member of his team will get back to you as quickly as possible.